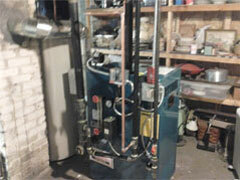 Convert Your Oil Furnace and Water Heater to Gas. Start Saving Money! 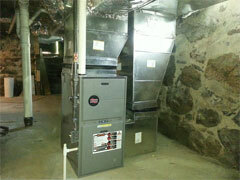 Are you spending thousand to heat your home or business? 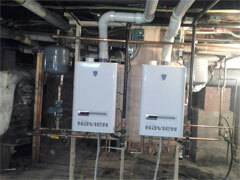 Call the heating experts at The Plumber Company of Rhode Island: 401-270-2900. We can give you an estimate of the cost of switching your oil-burning furnace to a fuel-efficient, eco-friendly natural gas furnace or boiler. 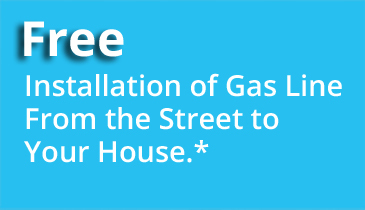 *For homes that qualify, installation of the gas line from the street to your house is free! If you have gas on your street in Rhode Island you will most likely qualify to bring the gas line to your house. This is a savings of thousands of dollars for most homeowners and is valid until Dec 31, 2018. 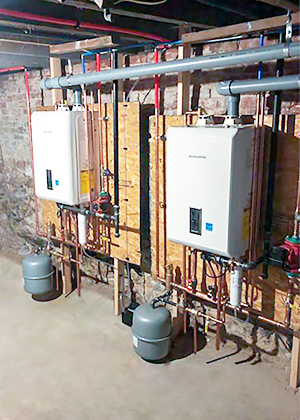 Our heating and cooling specialists help homeowners and businesses throughout Rhode Island find the heating system that meets their needs. 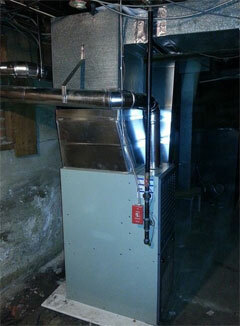 One of our customers was spending $6,000 on heating oil each winter. 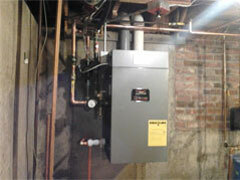 After converting to a gas furnace, that heating bill went down to less than $1,000! 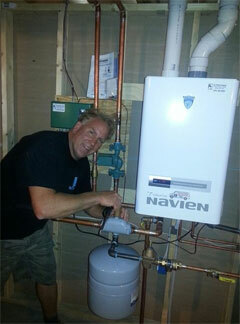 The Plumber Company of Rhode Island is a National Grid partner. 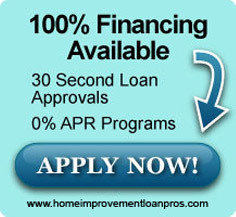 We offer many financing options. You may qualify to receive a 0% interest energy loan for the installation of a high-efficiency heating unit or 1% financing from the National Grid for an oil to gas conversion. 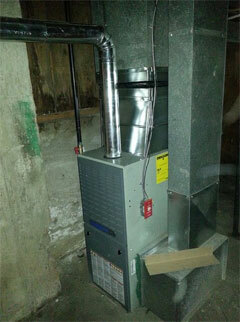 We will help you through the entire process, from securing financing, removing your oil-fired furnace, getting the gas line into your home, and installing your new natural gas furnace. We coordinate with the National Grid and we ensure you meet the National Grid guidelines so you can receive your cash rebate when the work is completed. 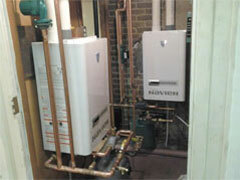 Oil boilers can also be converted to natural gas if your existing equipment is in serviceable condition. 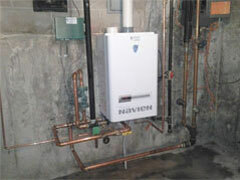 We'll clean the boiler completely, install a gas burner and a natural-gas-rated barometric damper in the flue pipe. 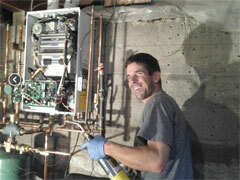 We'll run a properly sized gas pipe to the new burner and hook up the required electrical and gas connections. Once we test the burner for combustion and efficiency, the boiler will be ready to go. 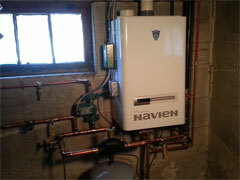 Call today to schedule your free estimate and learn how easy it is to convert from oil to natural gas heat. We guarantee that your only regret will be that you didn't convert to gas sooner. 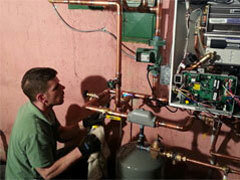 The Plumber Company offers several financing options! Click on the picture. 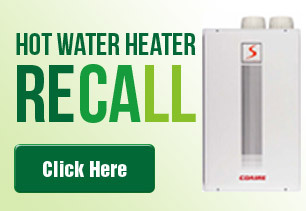 Fill out the form and mention you are interested in financing your newtankless water heater or home heating system and we will contact you asap! Commercial pipe cleaning up to 12"
Providence, Warwick, Cranston, Pawtucket, East Providence, Woonsocket, Coventry, Cumberland, North Providence, South Kingstown, West Warwick, Johnston, North Kingstown, Lincoln, Central Falls, Portsmouth, Barrington, Narragansett, East Greenwich and Wakefield.